Last week at Newholme and Walton hospitals, we looked at modern art, with a virtual stroll around Yorkshire Sculpture park, looking at the textures and shapes of the sculptures there. Then we got creative, using scrap materials to make collages. The participants loved making the collages. At Walton, we created Funky Fred, with staff and patients working together and sharing ideas. When we’d finished Funky Fred, we came up with a description for him. He must be dreaming about something. He’s a bit of a practical joker. It’s not a girly colour. He’s wearing leather trousers but he has flat feet! 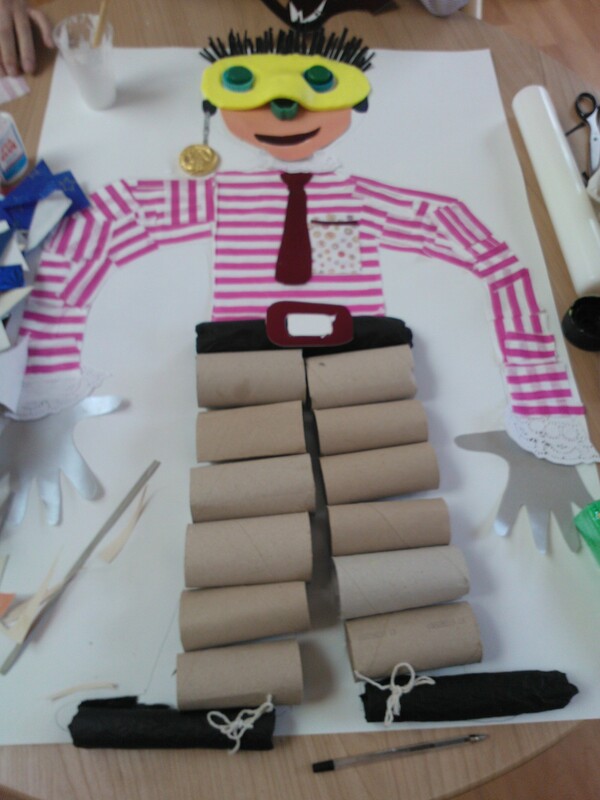 In the Riverside Ward at Newholme Hospital, I worked with a patient and his son, who said they weren’t creative at all. The nurse we were working with also said she wasn’t creative, but look at the result! Choosing the subject of a cat led to lots of chat about pets and families, and we had a really lovely time. 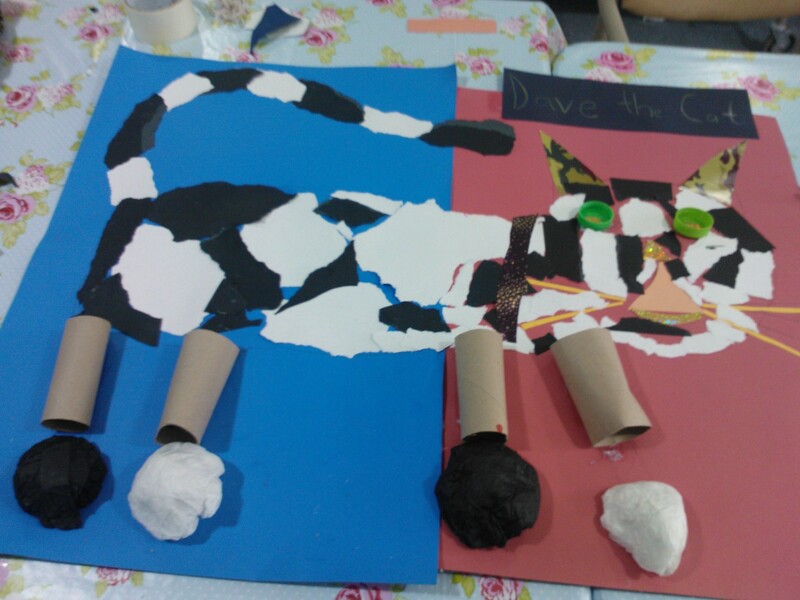 The result is Dave the cat, a lovely black and white cat!